Come Learn More About the Proposed Mills Scenic Byway! Come share your input, comments, and constructive feedback on the proposed 12 mile byway that would travel through Newmarket, Durham, Madbury, and Rollinsford. The proposed Mills Scenic Byway is a 12.1 mile route that travels through the Towns of Newmarket, Durham, Madbury, and Rollinsford. 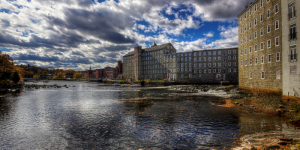 This route offers a clear depiction of small, yet vital communities, located along the coastal shores of the Lamprey, Oyster, Bellamy, Salmon Falls, and Cocheco Rivers while retaining the character and appeal of historic mill towns. These charming scenes paint an illustration of New England river towns that possess a past that has seen a steady transformation from early sawmills to a thriving textile industry, which has in turn given way to dozens of smaller businesses and residential opportunities. In the spring of 2012, all four participating communities endorsed the Mills Scenic Byway’s proposed designation by writing letters of support, which were signed by each governing body. The Byway was then given conditional approval by the NH Scenic and Cultural Byway Council on November 6, 2013. In order for the Council to officially designate the Mills Scenic Byway as a state byway a public hearing is required. Upon completion of this public hearing the State Byway Council will consider designation of the Byway at its next meeting, to be held on May 8, 2014. This entry was posted in Durham, Madbury, Newmarket, Rollinsford on January 23, 2014 by Admin.